As SLI is only available on NVIDIA chipsets, users who are inclined to adopt multi-GPU systems are always intrigued to find out just what they can expect from NVIDIA's chipset when it's teamed up with a couple of their midrange or top-end graphics cards. (There's also Intel's Skulltrail platform and mobile offerings, of course, which add nForce 100 bridge chips to get around the NVIDIA chipset requirement.) Over the next week, we're going to pit EVGA's reference design 780i motherboard against the custom design ASUS ROG board known as the Striker II Formula to see which is the better overall solution, or do they each perform well in certain usage scenarios? That's what we'll find out. Things are certainly becoming interesting within the multi-GPU market, even with SLI licensing restrictions in place. There is something of a challenge to multi-GPU capable motherboard solutions, as both ATI and NVIDIA have dual-GPU graphics cards available now. This will provide users with flexibility of choice, allowing the use of virtually any current PCI-E motherboard/chipset whilst still enjoying a single card variant of SLI or CrossFire. Much of the success of the dual-GPU cards rests upon comparative pricing and driver integration, just as it does with dual-card or even triple-card SLI. Our testing over the past few months has shown that there is definitely room for improvement when using any form of dual- or multi-GPU rendering in today's games. Having said that, even if we take driver level optimizations and multi-GPU frame rate gains into consideration, the demand for multi-GPU solutions is still apparent, further bolstered by games like Crysis, thus creating an avid interest in SLI capable platforms. If NVIDIA has managed to get the 780i chipset "right", it may well offer users a viable alternative to Intel's own DDR2 chipset solutions. That's quite a mammoth task, especially since NVIDIA continues to use a chipset bus architecture that allows for either synchronous or asynchronous overclocking of the processor and memory. 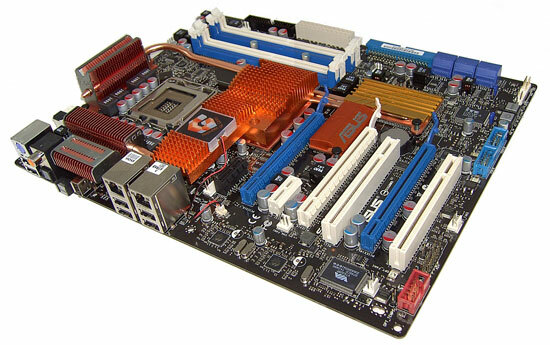 Naturally, users of the older NVIDIA 680i based motherboards have aired concerns of issues pertaining to Front Side Bus and Memory Bus related "holes". They would also like to know just how stable the new NVIDIA boards are when overclocked using quad-core processors. NVIDIA has been working to improve these aspects on their 780i product, and we aim to put this to the test today. Overall system performance is often marred by the additional chipset latency offset required to run the memory bus and FSB asynchronously. As with Intel chipsets, there are rules that determine just how tRD, memory dividers, and memory CAS (Column Address Strobe) must align to assure that the data transfer between the memory bus and FSB can take place. Users who wish to delve deeper into the technicalities and mathematics of tRD and CAS are encouraged to read this article. Although we are dealing with a different topology here, the concept of data transfer and timing is essentially the same, though additional delays and rules apply when both buses are out of sync with each other. As there are so many similarities between the 680i and 780i, we'd expect and hope that some of the experience gained over the past 18 months by both NVIDIA and ASUS using the 680i chipset will carry through to the 780i motherboards. Moreover, what does opting for the custom solution from ASUS get you for the extra expenditure over the reference design? Let's take a first look at the ASUS Striker II Formula. It was a significant performance improvement. For dual core processors + if you want to run SLI, this board works fine. If using quad core processors, you really need an unlocked multipler CPU in order to achieve high clock speeds. Despite hearsay, I found the board to work very well using the 1101 BIOS and my E8500. Using this combination of parts left me with nothing to grumble about. Performance in Sync mode at around 475FSB using the 1101 BIOS is fine and does not leave much to be desired IMO. The 0901 has instability issues in many ways. Other than Everest, there's little else the board will do at 450FSB (even in the 0901 BIOS). The screenshots were only really shown for the low memory access latency. Later on, it was discovered that 450 FSB and the low access latency was nothing more that a pipe-dream for real world application stability. It's also interesting to note that the board behaves quite differently in its reboot cycles and failed overclock recovery when a quad-core CPU is used for testing. I could not care less about the chips as long as they do what it says on the 'tin'. 1200MHz sounds cool, I would imagine that some of the die advancements from DDR3 are beginning to filter down into DDR2. But like I said, as long as they do 1200MHz - as stated, that's fine for moi..